Indian Creek Elementary students play a game teaching financial literacy with JA in a Day through Palo Alto College. 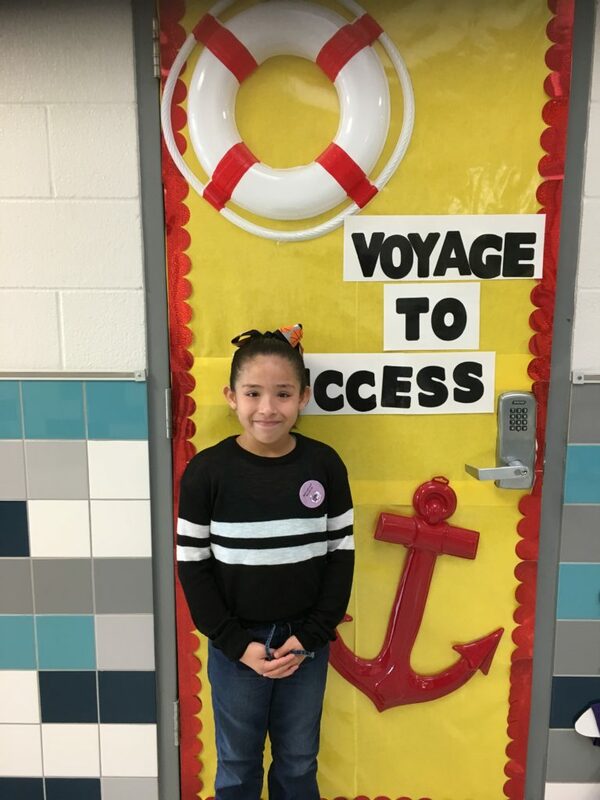 Fourth-grader Naomi Higa plans to go to Texas A&M College Station and get the degree she needs to open her own business: a donut shop. She says she knew she wanted to do something with donuts when she grew up, but her day with Junior Achievement helped her think more about what that might be. “You need to first make plans, then make them better,” Higa said. That’s solid advice from a fourth grader. Indian Creek Elementary student and future donut mogul Naomi Higa. literacy, teachers get a hands-on lesson, and student teachers from Palo Alto get classroom experience. Junior Achievement was founded in 1919 to help young people prepare for the global economy, such as it was in the post WWI era. It has evolved into a financial literacy, entrepreneurship, and workforce preparation program with chapters all over the world. “We want them to be financially savvy, making good decisions with their money,” says Junior Achievement director of programs Bernadette Byrd. In particular, Byrd wanted those skills for students like herself. An alumna of Edgewood ISD, Byrd knows that many kids in San Antonio lack the kinds of access and resources that are available to their peers in wealthier neighborhoods. 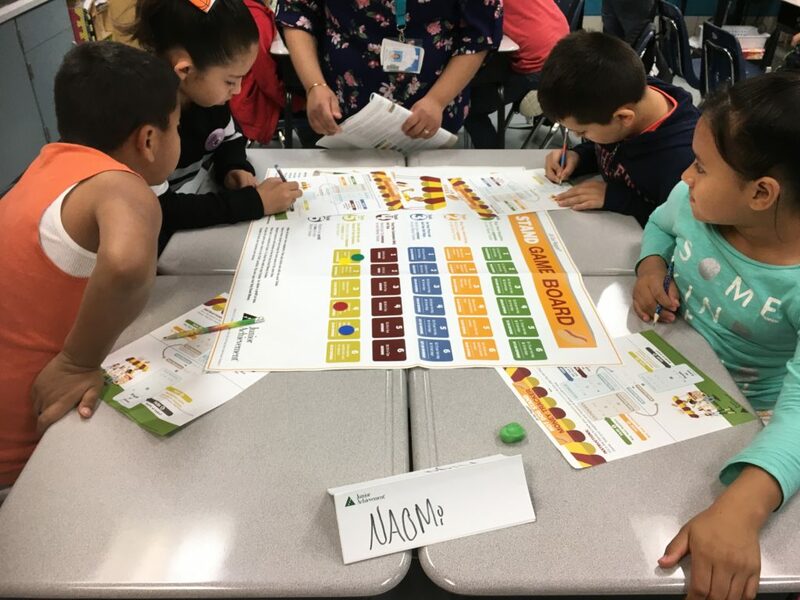 Junior Achievement has been in San Antonio since 1979, when individual businesses sponsored the day-long workshops, five-week classes, and other opportunities, primarily in the schools they knew. When corporations and professionals invest in the schools where their kids attend, or their own alma maters, it creates a virtuous cycle of aspiration. In areas of town that have been more isolated from business expansion, those cycles don’t happen naturally. Someone has to make a deliberate move to get it started. Someone like Bernadette Byrd. Junior Achievement South Texas has now grown to serve San Antonio, Corpus Christi, and Laredo. It has reached 93,000 students through 4,500 volunteers and 12 full time staff. After a successful pilot program using teaching students at North East Lakeview College, Byrd made her move to take Junior Achievement to the South Side. She reached out to Amie Deleon at Palo Alto College in 2007. Deleon runs the Associate of Arts and Teaching degree program at Palo Alto, which was strategically placed by Alamo Community College District to serve the South Side community. Students who complete this program are eligible to transfer to any four-year teaching degree program in the state, she said. The courses at the heart of the degree are EDUC 1301 and 2301, and they are designed to prepare teachers for real classrooms. Thus, they require field service. The Higher Education Coordinating Board of Texas wanted to address the high attrition rate in the teaching profession. “We still have an average of teachers teaching for 3-5 years and leaving the profession,” Deleon said. Teachers simply aren’t prepared for the reality of the classroom, and they burnout. This hits high poverty schools the hardest. Not only do they end up with the least experienced teachers, but many talented teacher candidates never even give them a chance. Palo Alto student Bryanna Zamarron is a Southwest ISD alumna. She looks forward to returning to the district where her mother also works as a librarian. Her classmates, she said, often assume that classrooms in lower income schools will be harder to manage. Their field experience in Southwest ISD, Harlandale ISD, Edsgewood ISD and South San Antonio ISD show them otherwise. In fact, many report that it’s particularly rewarding. 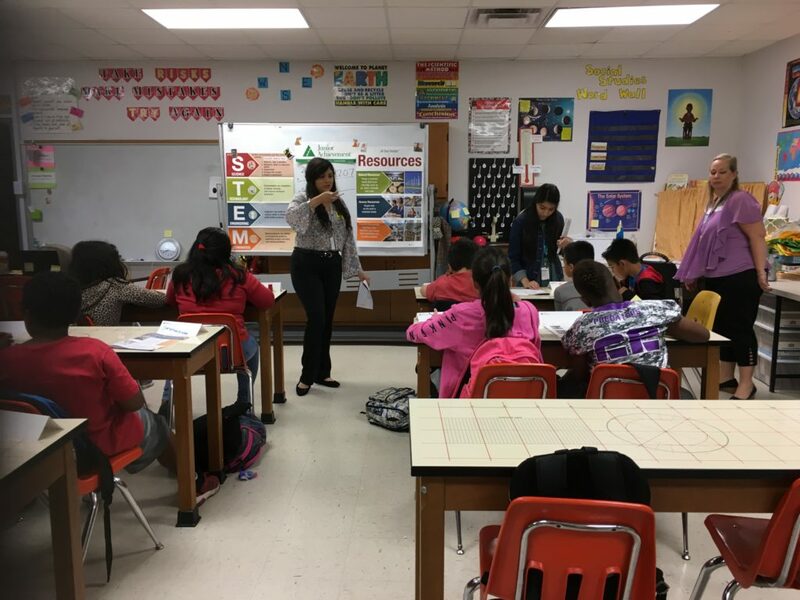 Before partnering up with Junior Achievement, Deleon’s students mostly earned field hours by sitting in classes to observe. Now, they, like the fourth graders, get a more hands-on experience. Many are online students, and the day spent in the classroom gives Deleon a chance to observe them and offer feedback. In 2007 the partnership began with 392 elementary students and 18 Palo Alto teaching students. It has since reached 48,000, predominantly low-income students, Byrd said. Palo Alto teaching student Bryanna Zamarron teaches students about entrepreneurship during JA for a Day. 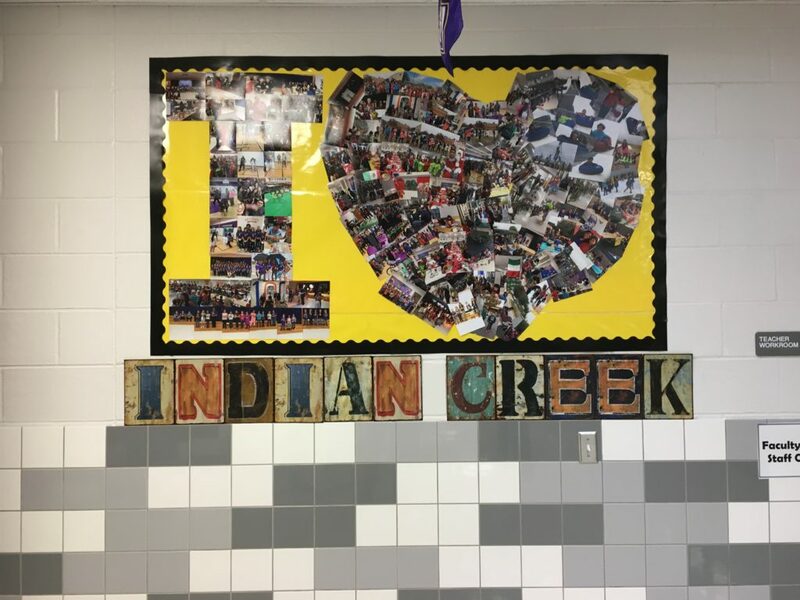 The Indian Creek teachers stay in the classroom to observe their own students. The curriculum is aligned to their lesson plans through the Texas Essential Knowledge and Skills (TEKS) guidelines. Fourth-grade teacher Roseanne Castro said that while “time is precious” in the classroom, the lessons dealing with money are often very abstract. The Junior Achievement curriculum does a great job showing how practical their skills can be, she said, and her students respond well to a fresh face. That fresh face, Byrd says, can be just as important. The students teachers become instant role models for the kids, a positive voice helping them think bigger.